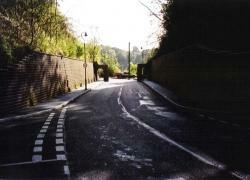 A busy access road serving a diving club in Sapcote, Leicestershire required widening and new footpaths. 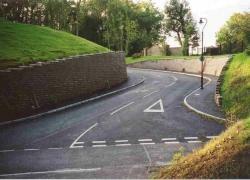 This involved cutting back the embankments either side of the road, making them both higher and steeper. 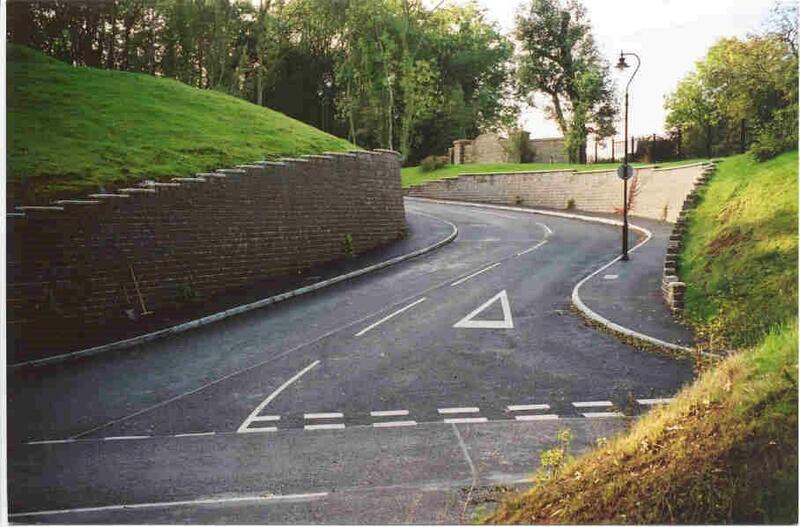 Curving gravity walls were then constructed, some 200m long and up to 4m high, on both sides of the road to retain the ground and prevent erosion. The walls then needed to be secured without any visible plates. The gravity walls were constructed from solid Geoblocks and secured to the embankments using the well proven mechanical ground stainless steel anchors. Terry Ingold Engineers specified these because they were cost-effective, reliable and could be rapidly installed by Stoney Cove Developments own personnel after minimal training. Some 400 mechanical ground anchors were driven 3m into the very stiff marl/clay substrate at an angle of 200 and concealed behind the walls. The anchors’ 6mm stainless steel wire ropes were then secured to longitudinal bars, positioned inside the Geoblocks as the walls were constructed, and tensioned to a working load of 10kN. 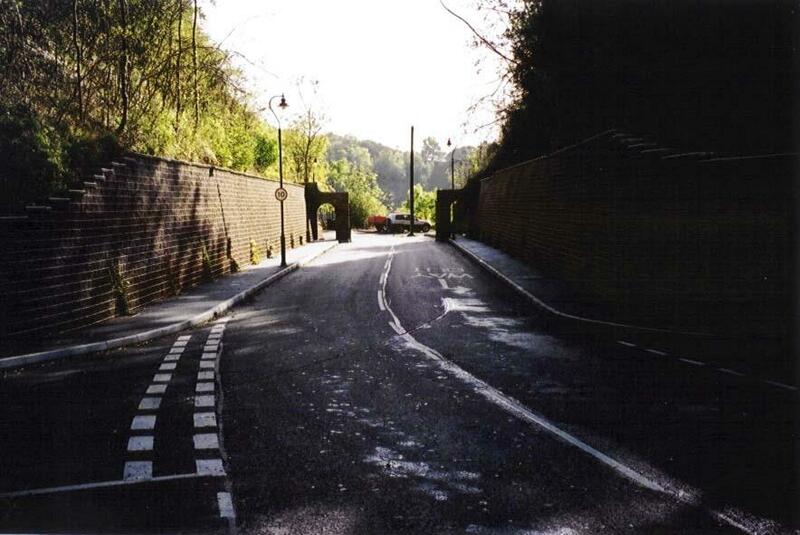 The new walls are now held securely to avoid the possibility of any danger to passing pedestrians and traffic.